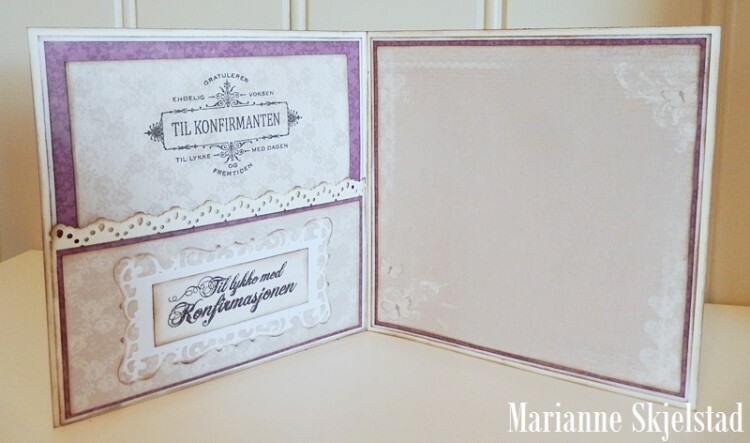 The Vintage Wedding collection works perfectly together with all the other Pion Design collections. For this card I have used it together with the My Precious Daughter papers. 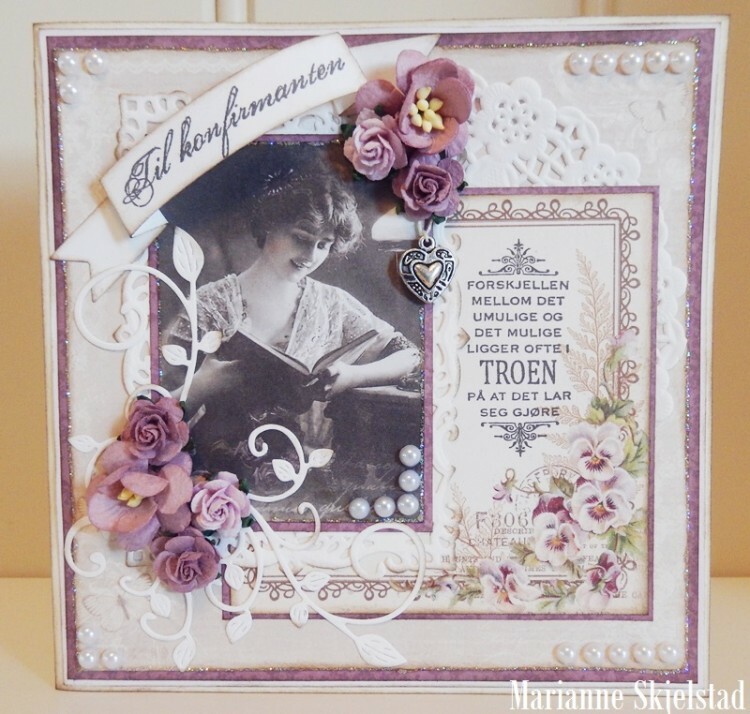 Marianne, this confirmation card is certainly beautiful! Love the papers which are so lovely and they go together perfectly.